EMBATTLED MDC Vice President Elias Mudzuri has run into fresh trouble for failing to stand up and offer his seat to party leader Nelson Chamisa during the recent burial of late music hero Oliver Mtukudzi in Madziwa. Mudzuri, according to a top party official, is also under fire for attending Tuku's burial outside his party's knowledge. As if his troubles were not enough, the former Harare mayor received some acknowledgement when Defence Minister Oppah Muchinguri-Kashiri went through the salutations as she presided over the burial on President Emmerson Mnangagwa's behalf. Chamisa attended same burial but took the humiliation of first being blocked from entering by police and army security teams that were manning the gate. When he eventually did, he was still forced to follow proceedings while standing in the crowd. Meanwhile, Mudzuri enjoyed a seat offered to him during the event. He was committing murder, as things could be turning out. "Mudzuri breached party protocol by going alone to Tuku's funeral without informing the party's information and protocol department," said a senior MDC official close to the events. "He should have checked with these two departments if the president (Chamisa) was attending the burial. 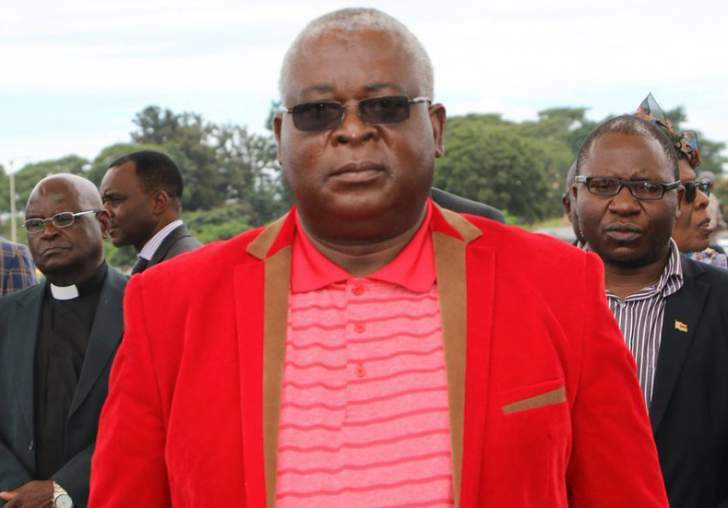 "The other co-Vice President (Morgen) Komichi and other senior party officials travelled with the president but he (Mudzuri) chose to travel alone and to make matters worse, he was acknowledged while the president was harassed and embarrassed." The official said in terms of party protocol, Mudzuri was supposed to surrender his high table seat to Chamisa. "The moment he saw Chamisa entering, as a junior official, he was supposed to vacate his seat and give way to the president. "He never bothered to do that and instead, he remained seated as if he was enjoying Chamisa's humiliation," said the official, who added that the party's youth and women wings had already lodged a formal complaint with the party concerning the issue. "Mudzuri's conduct during Tuku's burial will certainly be discussed during the coming standing committee and national council meetings. His behaviour is now unbecoming," said another senior party official. Last year, Mudzuri was forced to abandon a party demonstration which was presided over by Chamisa and his lieutenants at a Harare's CBD venue when angry party followers were baying for his blood. They were accusing him of selling out when he had attended a parliamentary function presided over by President Mnangagwa, few days after party MPs were embarrassingly manhandled and thrown out of parliament one after the other by police for refusing to acknowledge the president's presence in the house. MDC maintains that it did not recognise Mnangagwa whom it accuses of winning his current term through poll fraud. Mudzuri could however not be reached for comment.